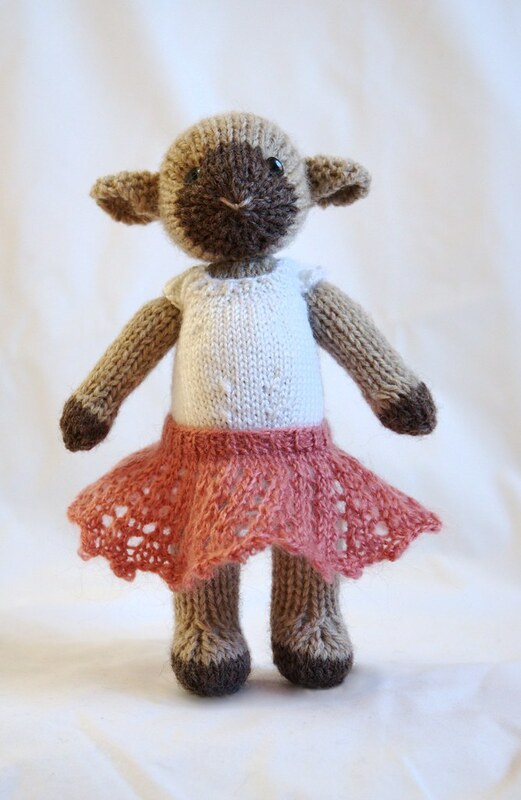 The ballerina pattern is now available in both my Etsy and Lulu shops. I've read through it a bunch of times, and I'm pretty sure there are no mistakes, but if you find anything please let me know asap. Both pieces are knit in the round, which should please those of you who hate seaming. I know not everyone has this skill, but there really was no other good way to knit this outfit. 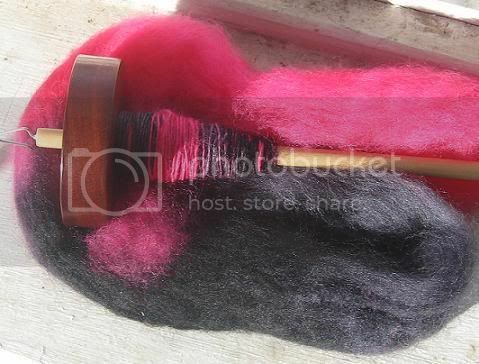 It should be a good way to use up little bits of leftover sock or lace yarn. In the pattern I give the amounts as 15g for both the leotard and tutu, but in reality they probably need less than 10g each - I just wanted to be on the safe side. I didn't include any kind of ballet shoes with the pattern, and I'm not sure how to knit removable ones. But a compromise solution is quite simple. For the legs of the toy, cast on and knit the first 5 rows in a contrasting colour (such as pink). Later, when the legs are stuffed, add a little ribbon to make the laces. Posted by Barbara Prime at 7:47 a.m.
April 1, 2008 at 9:00 a.m.
April 1, 2008 at 9:39 a.m.
April 1, 2008 at 3:29 p.m.
Hi Barbara, How do get the nose from your lamb in shape , like the one on this picture? April 1, 2008 at 4:21 p.m. I caved. That outfit is much too cute for words. April 1, 2008 at 5:17 p.m.
Hi Barbara! The ballerina outfit is adorable! April 5, 2008 at 10:53 p.m.